Can I transfer the Extended Limited Coverage Warranty? Your Mercedes-Benz Representative is trained to answer any Pre-Owned Mercedes-Benz questions, including those about the Extended Limited Warranty program. And as a Mercedes-Benz customer, you’re never further than a free phone call away from our Customer Assistance Center (1-800-FOR-MERCEDES), with representatives standing by to respond to all types of Mercedes-related warranty questions, 24 hours a day, 365 days a year. What if I want to talk to my local dealer about CPO? 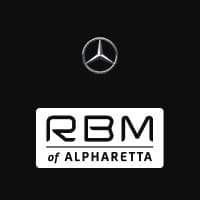 Speak to RBM of Alpharetta, 345 McFarland Parkway, 30004. They will be more than happy to assist.